Derek Hough Would ‘Love’ to Take on NBC’s Hairspray Live! 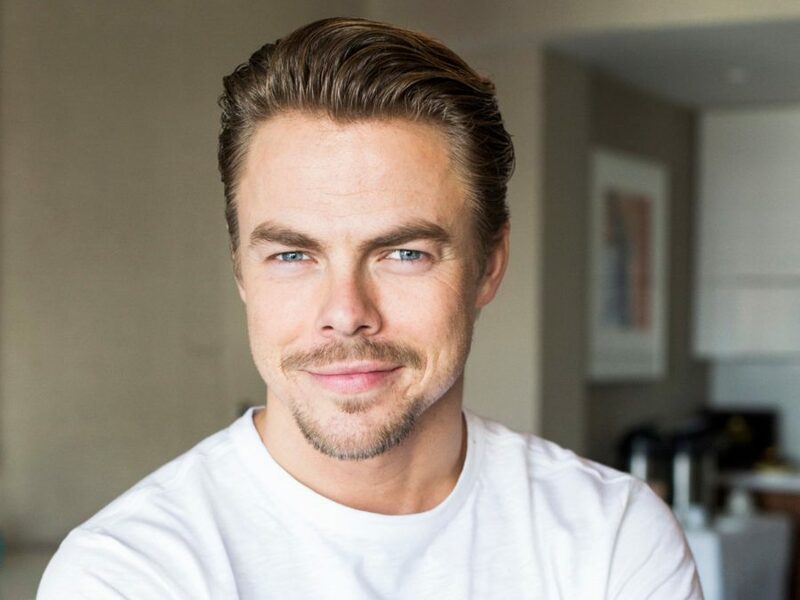 Could Broadway-bound Derek Hough make time for NBC’s live Hairspray broadcast? The triple threat, who is set to star in the upcoming Broadway revival of Singin' in the Rain, says he’s interested. "I would love to do that!” Hough told Broadway.com. Hairspray, which will air on December 7 on NBC, follows plus-sized teenager Tracy Turnblad in 1960s Baltimore as she attempts to become a cast member of The Corny Collins Show, a popular local dance TV series. “I think it’s wonderful that musicals are being brought to television, and I think that Grease got it right,” Hough told us, praising his sister Julianne for her portrayal of Sandy on Fox’s Grease: Live. "She was incredible," Hough said. "She knocked it out of the park." The live musical broadcast garnered 17 million viewers worldwide. As Hough, who made his Broadway debut with a brief engagement in Burn the Floor in 2010, readies for his return to the boards, he also thinks there’s room for his little sister on the Great White Way, but in a splashy musical with a different type of precipitation. “I would love to see her do Frozen. I think she could kill that,” he told Broadway.com. Now that Hough’s said it, we can’t let it go. By the way, you don't have to imagine the two-time Emmy winner and six-time Dancing with the Stars champ as one of Hairspray's "Nicest Kids in Town." Just watch this!